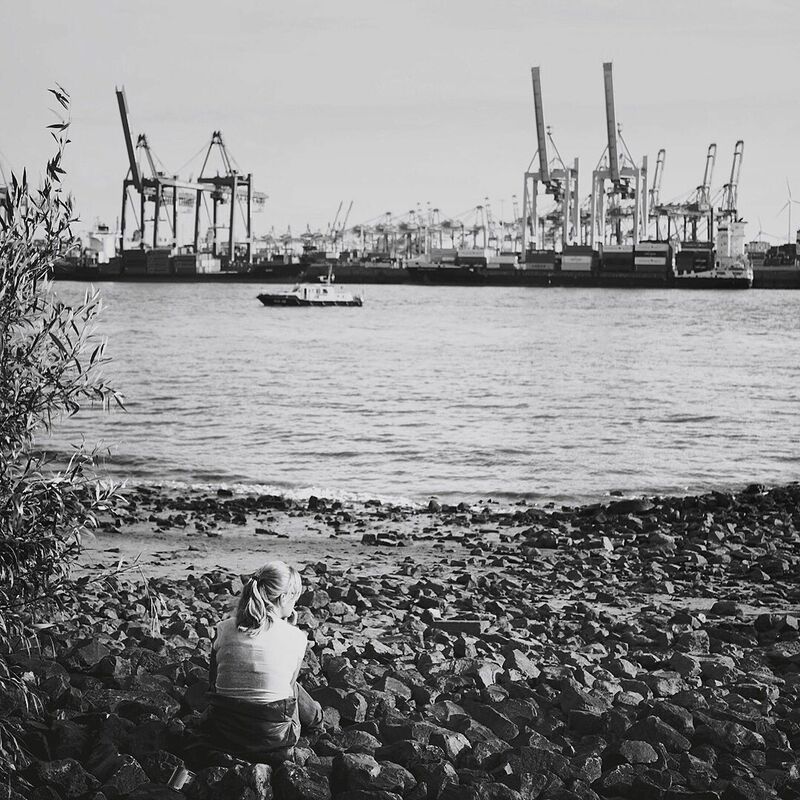 Planning your first trip to Hamburg? 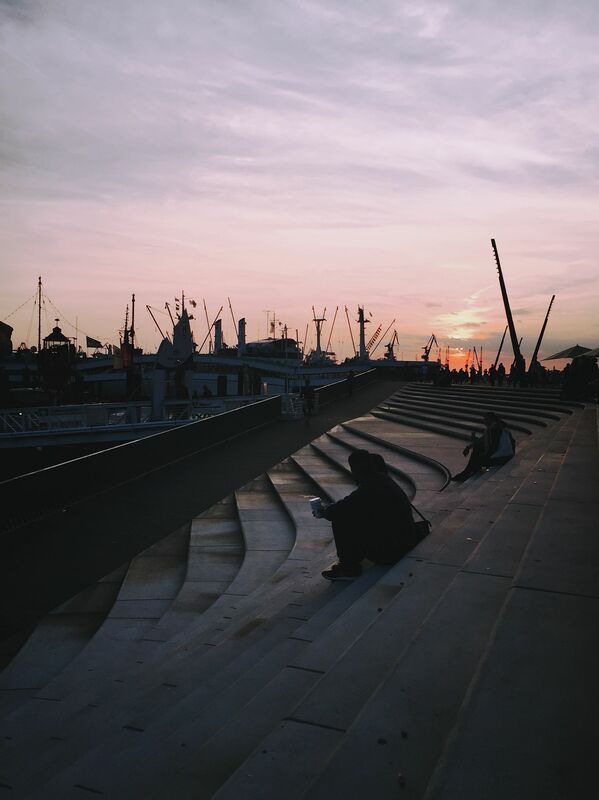 You will love to discover the city with the iPhone/ or camera. Start your research for the best photo spots with this article. 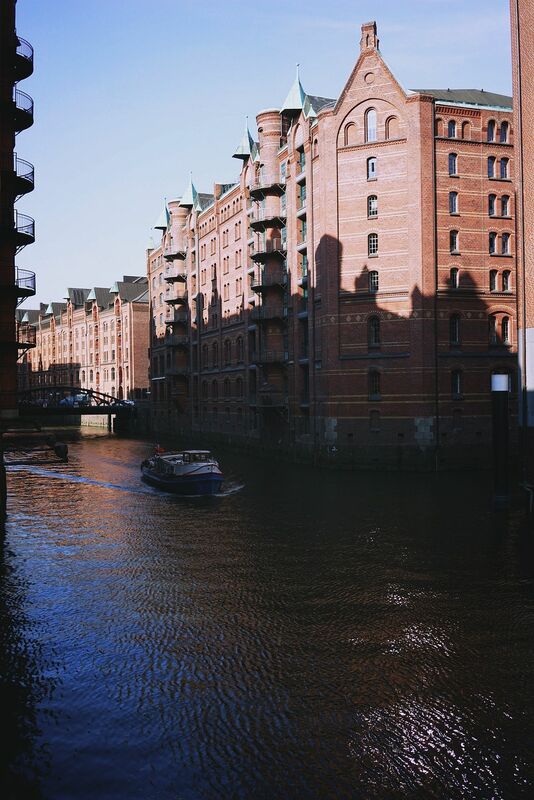 I even asked some great Hamburg Instagrammers to reveal their favorite places. Let’s begin! More tips from Hamburg residents. Don’t forget to enjoy a scroll through their awesome galleries! After the research comes the practice. This is what I can recommend after visiting Hamburg’s streets for a weekend. By the way, there are some great AirBnB places (get 35€ discount, if you register with my link) to live like a local in Hamburg. After getting a new haircut at „Gute Köpfe“ the discovery could begin. First I went to the flea market (every Saturday around the Alte Rinderschlachthalle from 8 am to 4 pm) to browse for some great motives. The area of the Schanzenviertel is wonderfull to stroll around, get street shots and to relax in one of the small coffee shops. After all the streets it was time to see some water. The next stop then was the port. 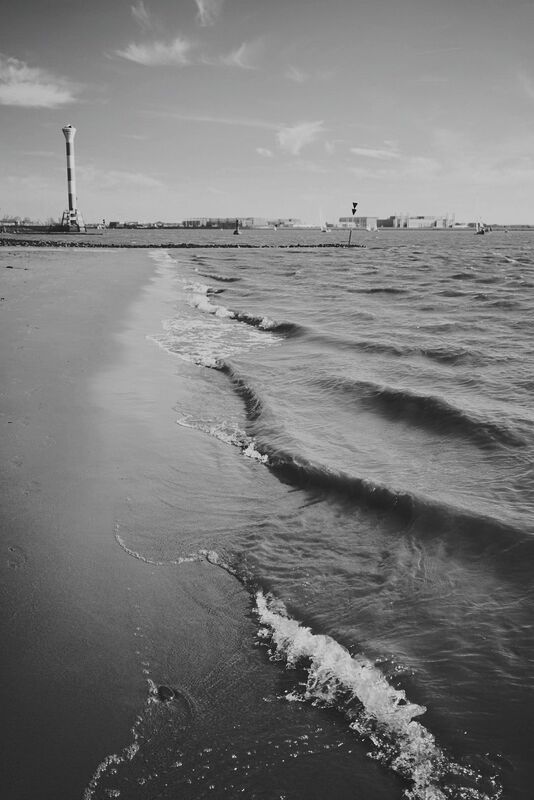 I took @silvanamanganas tip to heart and went to the Elbstrand (Museumshafen Övelgönne). Just grab a drink and walk around a bit. To get back into the city center you can take the ferry with a normal HVV city ticket. I stopped at the Dockland (you can’t miss it) which provides great perspectives. Although the view from the top was not very spectacular. Be aware – with nice weather a lot of people enjoy the port. The ferries can get quite full – it happened to me that I had to wait for the next one because boarding was stopped. The last stop of the ferry if you are coming from Övelgönne is Landungsbrücken. The area provides great walking along the waterside – especially with the sun setting. I planned to visit the fish market in the morning (from 5 am) but changed the plans due to the great weather. With warm temperatures and a blue sky I wanted to spend the afternoon near the water again to get some sand under my feet. That’s why I decided to wake up early – visit first the Speicherstadt and then drive with the S-Bahn a little longer out of town to Blankenese (S1/ S11 – takes about 45 min). 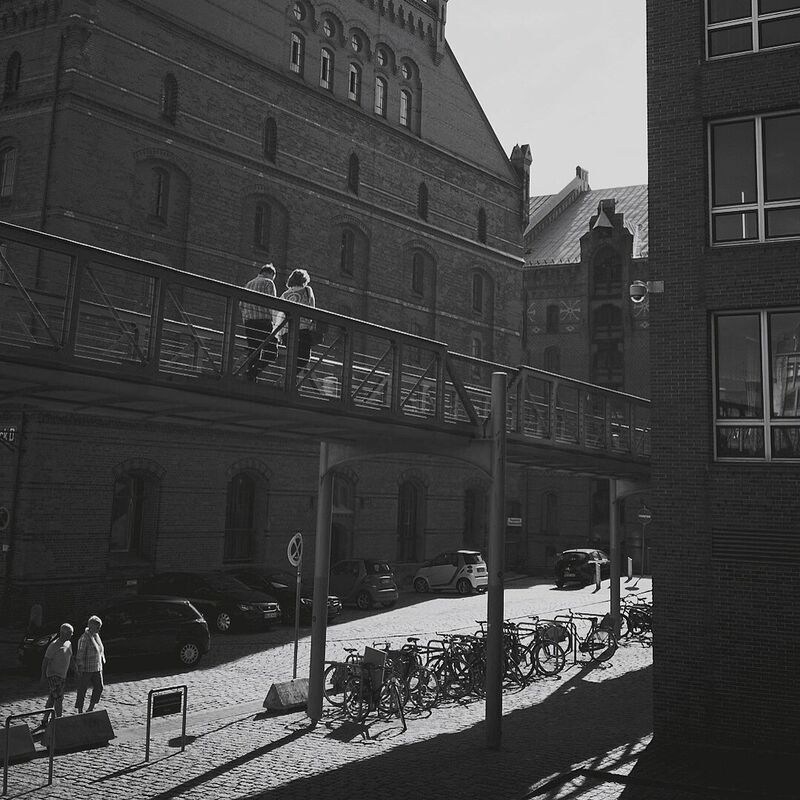 The Speicherstadt was my one my favorite places in Hamburg with great little bridges that are challenging to photograph – but beautiful. Old buildings towering out of the water with so much charm and boats driving along the waterways. The longer journey out of town to Blanenese is also worthwhile. 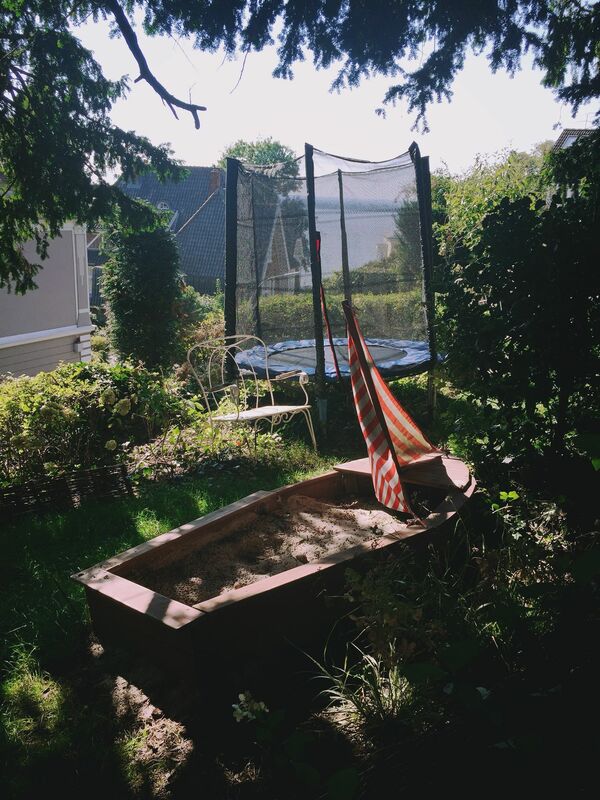 It’s a small escape from the hectic of the city center. Don’t forget to pack something to eat and drink – because there are not many possibilities around to buy some. You don’t want to miss out on a picknick while on boat watch. From the station, it’s a bit of a hilly walk (downhill) to the shore. 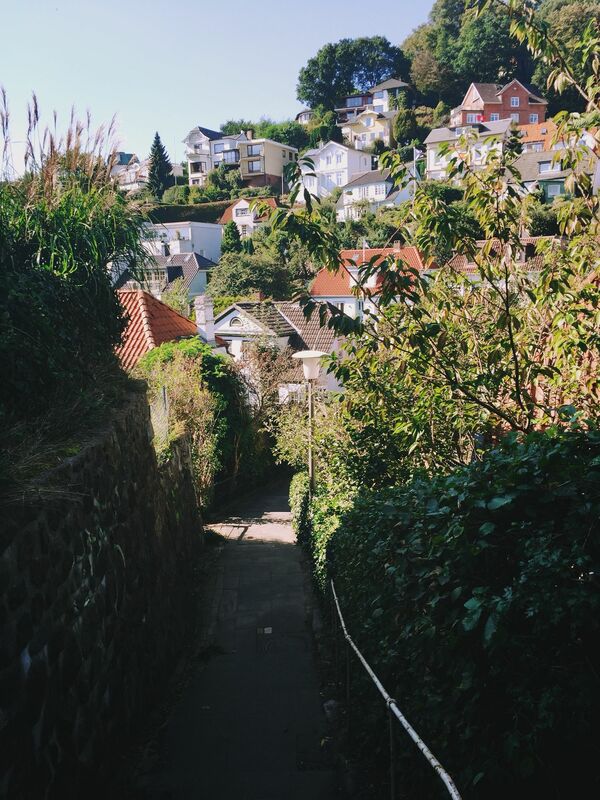 You can try to discover some of the small stairways through the beautiful neighborhood. I enjoyed a waffle and the view at the Kaffeegarten Schuldt. Down the beach you can walk barefoot, see big big big (!) container ships passing and people that relax by the beach. Since I was already tired I took the bus back to the station (which costs extra to the HVV ticket + 2€).